I had this project on hold for a long time. Finally a friend introduced me to this guy that is making foam planes and I tested his skills with the beautiful Pucará of Malvinas fame. My specs of 1600mm wingspan ended up having in my hands a huge plane since the fuse is also 1600mm long. Today was the maiden flight and she flew like a dream. a bit tail heavy on the first flight but moving the battery inside the big bay I managed to fly her nicely. 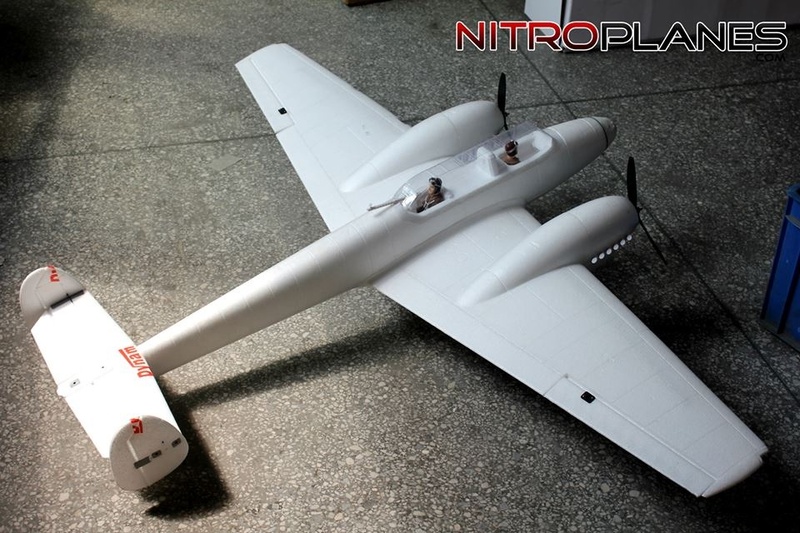 The weight for such big plane is a mere 1.6kg with a Zippy compact 3700mAh 4s. I got a nice BBD during a promotion and decided to put some details on it. Instead of putting lots of picture I decided to use Youtube's slide show. It's the first one, so apologies for some issues. I received this pretty looking plane and maidened her on September 3rd 2016. Problem is: It's silver and very difficult to spot with that small wings. I decided to go for a camouflage scheme to ensure her safe return to earth. The best reference, but, is it green over green or aluminium? Or the East Germany scheme. I longed for a P-47 Razorback but the only foamie option was the FMS 980mm that comes with a very high price tag and a size and speed that will make my eyes suffer. I wasn't sure about the Dynam P-47, especially due to the 3 blade prop that Dynam uses in all the 1200mm warbirds. But considering the price, there was room for some modding without killing my wallet. Solving Durafly's Spitfire LG sloppiness. The Durafly Spitfire XXIV is one of my favs, being able to survive a high speed impact against asphalt and still flying strong on 2 or 4 blade propellers as well as with 3 to 4s batteries. In my opinion, is Durafly's masterpiece in design. I hope the newly announced P-40 is on the same line. The only spec ruining the picture is the sloppy LG that makes my life miserable on landings. I think there is some deterioration after 100+ flights making the LG more and more jell-o like. Looking for a quick fix I did the following and now she has a set of really firm legs. 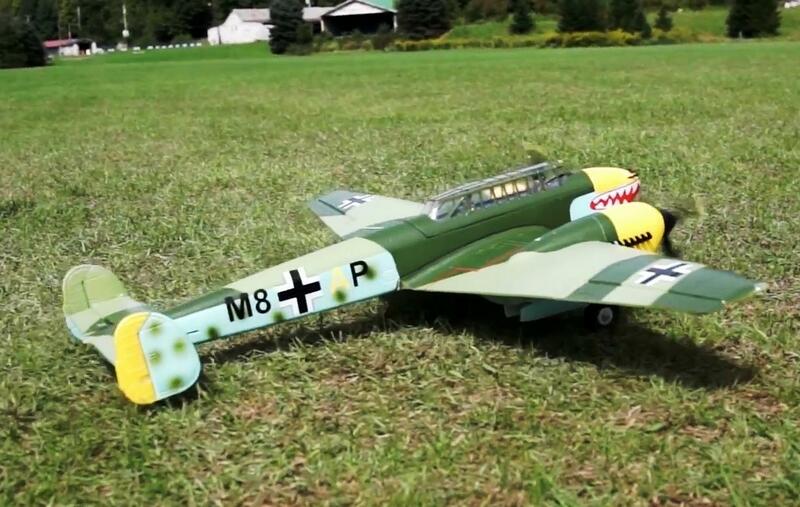 The Dynam Bf-109 is a fine plane with some not so fine absence of details. One of them is the lack of wing tip lights. She comes just with 2 leds protruding from the wing. So I decided to make something I never did: Plastic lenses for the lights. Since I have memory I've been voting for this plane in the forum's polls. Finally, Dynam and Durafly came up with 2 slightly different sizes of this heavy fighter. While Dynam's is still in the forges, Durafly already lauched their version on October 15th 2013. I decided to go for the kit since I saw some modifications that need the parts to be loose. Actually I bought a PNF first, but since a good friend of mine wanted this plane he got it. I love my Ju-87G, but I wanted a B model ever since I saw the old Cox CL black Stuka when I was around 8 or 9 yo. It was hanging as a prize on a shoe shop (?) and I always drooled over the glass. Last March I crashed my venerable G and the broken body was left to rot in the garage until I decided to do something drastic about it. Even after swearing not to buy any plane but warbirds, this elegant beast tempted me. It "was" a warbird anyway, right? I got the high speed setup with a 770kv motor and a 70A ESC. It comes with flaps while the standard speed (3s) does not. The quality is very high. Even the supplied contact cement is so good that I almost ruined one of the wing fillets because I waited too long. Maybe it can be recovered. a lot of hot water and patience to glue the parts together. FMS makes excellent scale planes, but some details are still annoying, especially the cartoon drop tanks. The P-51 used 2 types of drop tanks, one tear drop shaped and one elongated. I wanted to modify the stock ones to convert then into something more scale. These are from the Durafly 1100mm P-51D Ferocious Frankie. I flew my P-51B today and the canopy tub was giving me some work to close. After take off I climbed as usual and on the second turn I noticed the canopy going off. Immediately I initiated the landing sequence but the thing flew off! It landed in the exact middle of a swampy pond. I was very lucky that one of the guys does RC boats and keeps a fishing rod in his car for boat retrieval. After a very careful work, my good friend Dino was able to recover the cockpit. The pilot is ok, wet and scared but lived to fly another day. I also discovered the root cause. and is because the magnets are too recessed inside the foam. I extracted them and raised them with a layer of hot glue and now I can hear the comforting "clack" when closing it. Exactly in the middle. Grr! Looks shallow but is waist deep mud. I extracted the magnet and plastic housing and using hot glue, made them flush to level. I'm tired to wait for FMS to make stronger legs, so I decided to get them done really strong. I used 4mm steel or "music" wire. With some carefully measuring and bending, you still can use the plastic scale covers, since they can accommodate the 4mm rod perfectly." Since the spring is useless, I replaced the lower part by wrapping a paper band until the desired thickness is achieved and the last part with aluminium tape. I carved the plastic covers with a dremel like tool and glued back with hot glue. I considered using this leg from HK but the wheel does not fit. After long time since I crashed this beauty, I decided to put her back on the air with the right appearance. Just by chance, I had a rough landing on my FMS FW-190A8 and the spinner fan blades were shattered. I ordered a new one but looking at the broken I imagined it on the Dora. I think I got it right on the diameter. But it's quite long. But the real deal was bigger! I just noticed this unit was in one of the LHS and decided to give it a try for one of my smaller warbirds. I was surprised by the price (~30usd) all inclusive. Of course it only has one pre programmed plane engine sound (start - run - stop). I received the unit today and it was installed in less than 2 hours. I chose the P-47 because it has a big belly that can accommodate the speaker perfectly. I also have the Benedini unit, but so far I haven't been lucky on the setup. What is in the box: The sound unit and amplifier, a 65mm loudspeaker, a battery power splitter and a Y servo lead. A little damage in the speaker. Solved with some hot glue. I just received the kit of this nice plane. The packing quality is awesome. Every piece is neatly attached to layers of cardboard and protected by bubble wrap and plastic bags. CS 10 blade EDF with a 2855 2100kv motor on 5s. 70A ESC. A lot of components for a foamie. I bought this plane a bit skeptical with the plan of using its wing for my Hyperion Dora. But after the first flight it was love at first landing. I made like 20+ flights with her and now I decided it's time to giver her a pair of Marlene Dietrich legs. I got one of this mini Jets from my LHS (RCSmart) and I think it's a good pocket size EDF jet. The EDF units are not well balanced at 1/3 throttle. The shape is like a scaled version of the Freewing Su-34. The plane can be built in less than 40'. With a 2200mAh 3s batt she balances quite well. The box is so big for that puny plane! Shipping wastage! Anyway the canards and nose came compressed.